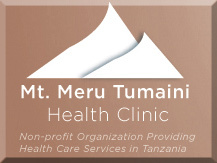 Our Savior’s Lutheran Church, 2219 Washington Avenue, will host “Zumbathon for Hope,” a benefit for the Tumaini Clinic in Tanzania, Africa. The Zumbathon runs from 1:00 to 3:00 p.m. on Saturday, April 5. A $5.00 donation is suggested. Water and fruit will be provided.